Students at Coomera Anglican College on the Gold Coast can often be found trotting about the globe, in a morning they could be found visiting the pyramids of Egypt, then heading south to feel the Antarctic chill, or even go wandering around Mars should they so choose. 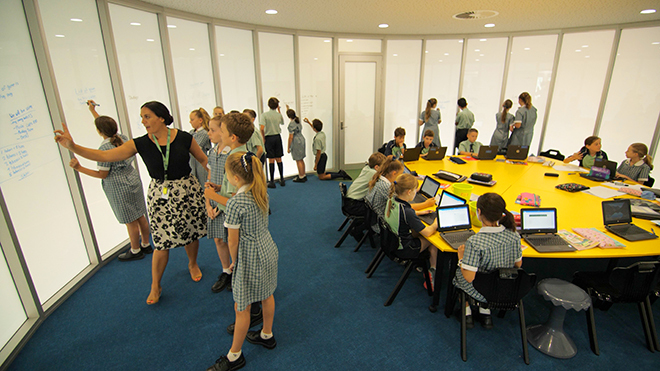 It all happens without leaving the comfort of sunny Queensland facilitated by the schools new learning facility, The Pod. The Pod sports the latest in immersive and interactive technology and is designed to take learning out of the traditional classroom, with robotics, interactive touch screen displays, 3D printing, writeable walls, a 360 degree climate-controlled immersive environment, smart glass and an indoor drone flying space, making students the architects of their learning. The climate controlled, 360 degree Imaginarium is the facility’s centrepiece, featuring six laser projectors and cinema quality surround sound creating a seamless 360 degree sensory experience without the need for wearable technology. Designed for primary students, the climate-control technologies add another dimension to the visual and audio experience to teleport students from the icy cold environments of Antarctica to the sweltering Sahara Desert and even off planet to Mars with the flick of a switch – or more accurately, the wave of a wand. Actual footage is fused with CGI for a realistic and immersive learning experience. 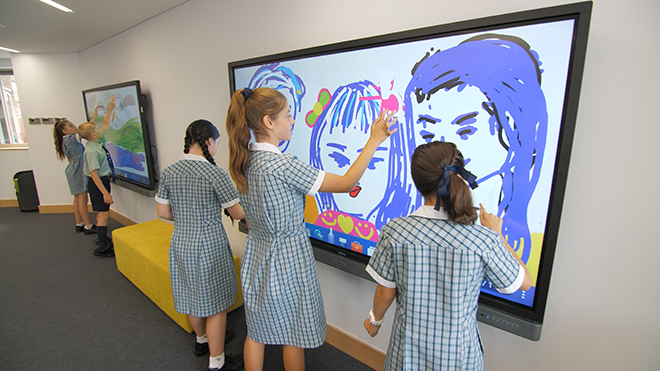 Coomera Anglican College Principal, Dr Mark Sly said, “The Pod is a first for any educational facility in Australia, which we believe will meet the needs of our students in a rapidly changing technological landscape. “This new facility is supporting the way we’re changing our approach to learning which is enquiry-based rather than content-based teaching. “In a world where the future of education will soon see virtual and augmented reality, robotics, 3D printing, laser cutting and drones as the norm, we identified the need for a facility that was flexible enough to move and adapt to change, but also have some key design elements to address some of the current and expected technological advances,” he said. “With immersive, interactive and collaborative learning environments, The Pod will introduce students to future-focused learning, placing this facility at the forefront of the new age of education. To witness The Pod, visit www.cac.qld.edu.au/facilities/the-pod. 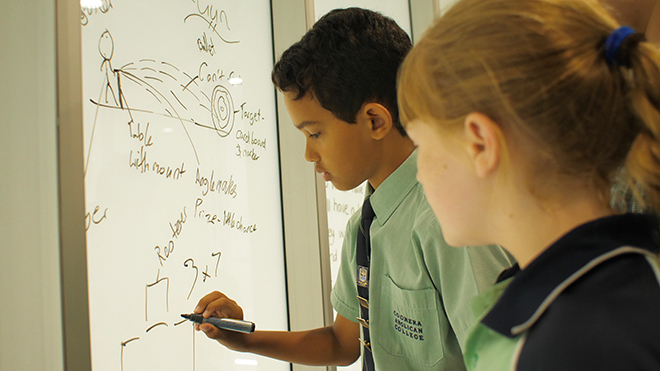 Students from the College’s Early Learning Centre through to Year 6 will benefit from immersive learning at The Pod. The College is also giving access to Secondary students who will have opportunities to use the facility and help direct a future secondary facility.